A bill to study how to create a “statewide marketing and conveyance grid” for water is moving through the Texas Legislature quickly, and we need your help to stop it! In practical terms, this approach will mean taking more water from rural areas to supply urban centers. But average residential water usage ranges from 60 gallons to over 300 gallons per person per day in different cities in Texas. Many Texans could easily cut their water usage in half – or much lower – without any real hardship. 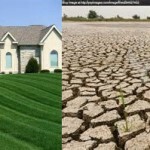 Are perfect green lawns important enough to drain aquifers and destroy the future of rural communities and local food? Water transfers just postpone the day of reckoning. At some point, Texans will need to take serious steps to conserve water. Shouldn’t we do that before we start shipping water all over the state? Consider the fact that San Antonio recently signed a contract to build a 140-mile pipeline to transfer large amounts of groundwater from some of the best farmland in our state, draining the aquifer under Burleson and Milam Counties. And at the same time, the city is negotiating a deal to have some of the water bottled for sale. My name is ____, and I am a constituent. I urge Senator _________ to oppose SB 1907/ HB 3298_____. If your are a constituent of Senator Charles Perry, the author of this bill, please urge them politely to accept amendments to address these problems. HB 3298/SB 1907 directs the Texas Water Development Board to conduct a study for the development of a market and conveyance network for water in the State. While a study may be called for, the problems with this bill go beyond the $2 million fiscal note. HB 3298/SB 1907 assumes that a statewide water market and water grid is the best plan for Texas. We don’t know whether or not a statewide approach makes sense, and this study jumps to how to implement it. The study also leaves out many important factors in the legislative findings and directives to the TWDB. These issues need to be included from the beginning to ensure that any recommendations resulting from the study are truly appropriate and useful. The bill fails to prioritize conservation as a first step. No transfers should be allowed if the receiving area has not first implemented all possible conservation measures. The bill fails to include protection of our aquifers and water resources for the future. Focusing on water marketing and transfers makes it all too easy to disguise unsustainable practices to water usage and avoid necessary conservation measures. That doesn’t solve the problem, it simply postpones the day of reckoning and makes the ultimate reckoning more painful. The bill leaves out any consideration of the potential impacts on areas from which water is transferred. Water is a basic necessity for life and for almost all types of business activity, from agriculture to manufacturing to service. Any discussion of transfers must include consideration of the long-term impacts on the areas from which they are taking water, not just whether there is currently a surplus of water in that area. Otherwise, the areas from which water is transferred will never have the opportunity to grow, and they will stagnate. Last, stakeholders should be involved throughout the process, providing input on how the study is structured, what facts and data are reviewed, and the process by which they are analyzed.